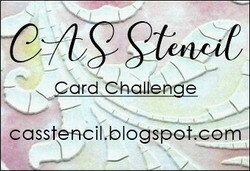 It's a new month and there's a new challenge over at A Vintage Journey! 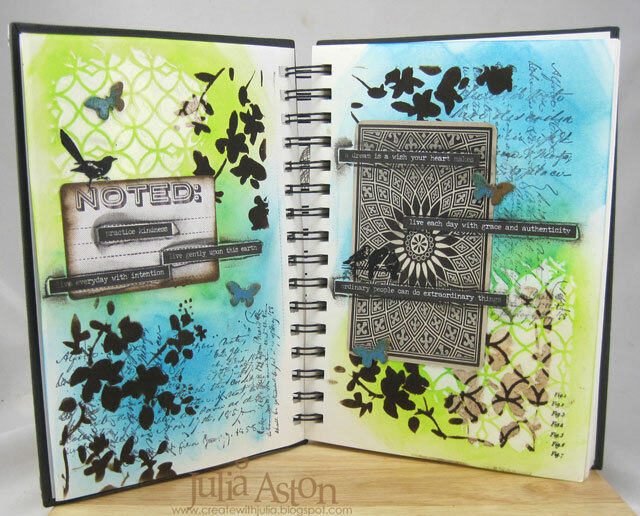 Allison is our host Creative Guide this month and her challenge to us all is "Art Journaling with Tim". Here's how I started it. I stamped on both pages with Ledger Script and I used Translucent Embossing paste with Tim's Latticework Stencil in two corners - It looks white when you put it on but it dries clear. I sponged over the pages with Distress Inks - Twisted Citron and Mermaid Lagoon. The ink doesn't color where the Translucent Embossing Paste is. The Small Talk stickers here say "practice Kindness", live gently upon this earth" and "live every day with intention". 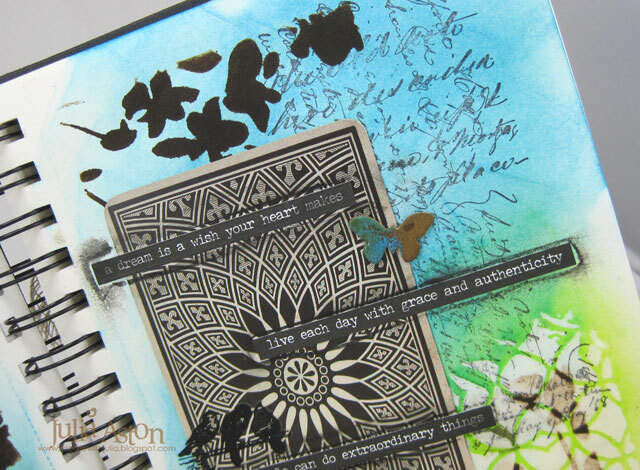 I stenciled in the corners using Tim's Blossom stencil with Ground Espresso Distress Ink. I die cut little butterflies out of white matboard using Tiny Shapes die. 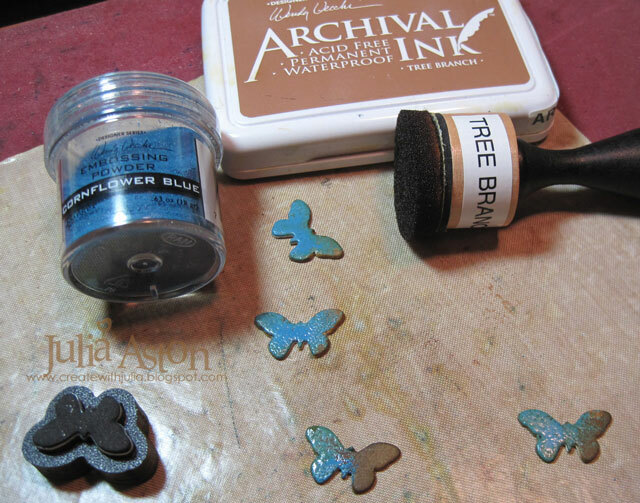 I embossed them with WV Cornflower Blue Embossing Powder and Tree Branch Ink. I adhered them fluttering over the pages. On the facing page I adhered a Found Relative card having the beautiful design on the back facing out! More Small Talk stickers were added here - " a dream is a wish your heart makes", live each day with grace and authenticity' and "ordinary people can do extraordinary things". I drew around all of the stickers with a black Stabilo pencil and rubbed the lines with my wet finger to smudge. I like the way the Ground Espresso Ink colored over the Translucent Embossing Paste - it creates a whole different lighter impression here on the right. I added some Botanical Remnant Rubs on both pages. 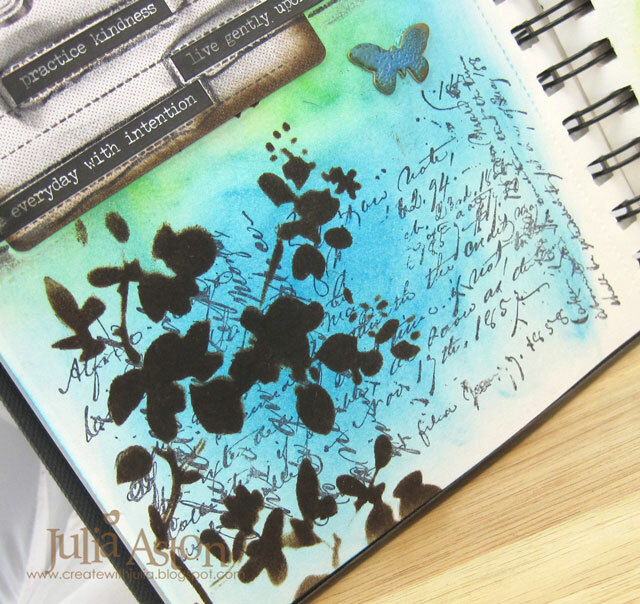 When I looked back at my previous attempts at Journaling - two of them were for AVJ challenges made last year before I was a Creative Guide - look here to see the covers of my journal I worked in today and look here to see the first page of my journal! Our challenge is a monthly one and a randomly chosen winner will receive a £20 gift voucher from our very generous sponsor, Country View Crafts. 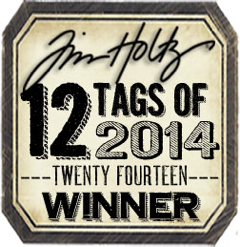 We will have our Pinworthy blog badges awarded to the Top 3, who will be chosen by the Creative Guides. 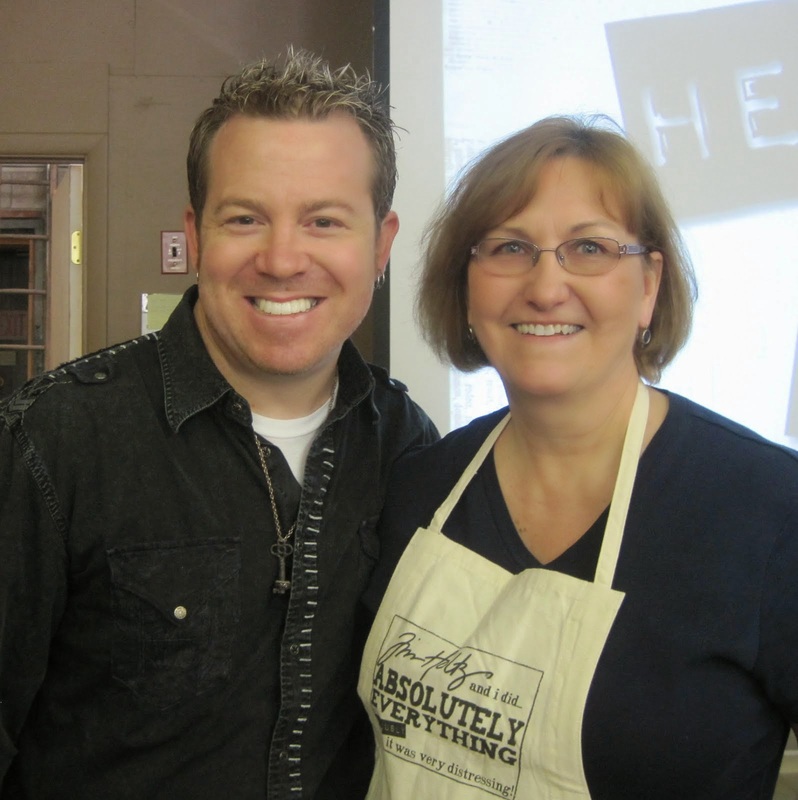 We are a Tim Holtz inspired challenge but you do not have to use his products, just let us know how you have been inspired by one of his techniques or colors. to join our talented team. If you would like more information and details please email Brenda at [email protected] by Monday 5th October. Many thanks. I have to say that I'm reasonably happy with the look of my pages today - and I look forward to playing more in my journal! 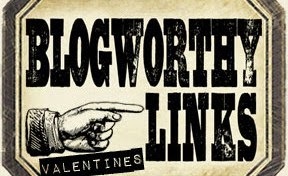 I hope you will share your journaling with us this month over at A Vintage Journey! 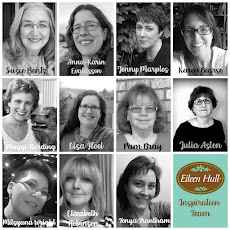 You'll find all the challenge details and the incredible inspiration by my fellow Creative Guides here. Ink: Archival Jet Black, Wendy Vecchi Archival Tree Branch, Ranger Distress Grand Espresso, Twisted Citron, Mermaid lagoon. Accessories: Wendy Vecchi Translucent Embossing Paste and Cornflower Blue Embossing Powder, Latticework Stencil and Blossom Stencil - Tim Holtz, Idea-ology - Small Talk Stickers, Found Relatives, Pocket Cards, Remnant Rubs/Botanical, Black Stabilo Pencil, Butterfly Die - Tiny Shapes/Movers and Shapers Tim Holtz. 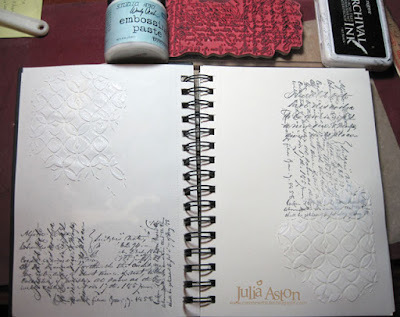 I'm so happy you found your way into the journalling mode, Julia, and I think your pages are just lovely. It's great that you took the time to work out what would work for you, and the clean lines and fresh colours here are deeply pleasurable to look at. Love that you've used the back of the Found Relative, and I love the translucent texture. For someone who claims to be "Not very good at it" I think you have done a fantastic job. Your layout is beautiful! wow this is outstanding.. awesome designing. Gorgeous Julia! I don't know what you mean you are not good at it???? You are a pro! 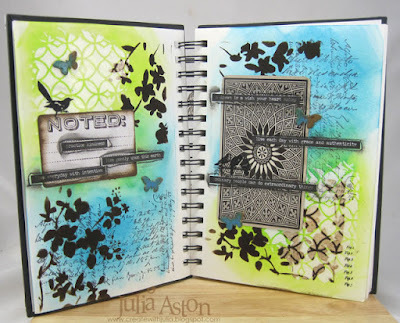 Love the background, all the textures, inky goodness and beautiful butterflies! Thanks for the inspiration! Really pretty journaling with Tim pages. Fabulous pages Julia and I think you are way too hard on yourself, though I completely appreciate you want to find your own style! I think what you have created here has come out so well, there is indeed a beautiful balance and symmetry to this spread and I love the bright and fresh colours contrasting with the design elements achieved through the other additions! 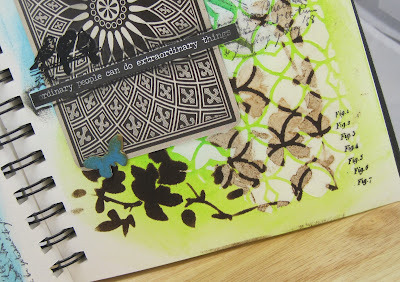 I absolutely love the colors and layout of this art journal page. Well done! 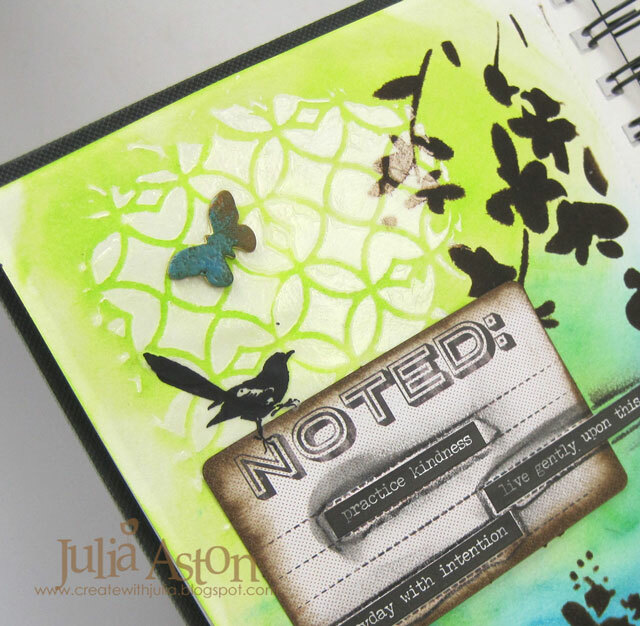 Very pretty journal page, Julia! I love the the textures and all the details. Happy Weekend! Love your Journalling Julia and I would certainly love to see more as I think your a natural with this.